I tried to make slow steps and place one foot after the other in the same place. I deserved a little laughter before my end. The laughter formed as I failed to maintain the steps. As soon as the laughter formed,a tear fell too reminding me how my life have been failure and nothing else. I had secured a job with Savoy Dee Tech to fulfill a dream of being a Graphic designer. I lost the job a week after because I refused to sleep with the Boss of my Boss which was seen as a Taboo. I was abused at the age of 9 by my Father's brother on the night my younger brother came forth to the World. My Uncle for breaking my innocence and stealing away my pride. My younger brother for choosing that night to come.Dad travelled and Mum went into Labour. Uncle Jay was the only available baby sister. My Dad for not noticing the glow plastered on my face whenever he lifts me up had been replaced with tremble and scornful looks. I stopped using Adela when I was raped again at 18 by my Private Lesson tutor for JAMB. I had lost all my nobility. I was more or less like the prostitutes Uncle Jay always came back with every other night. I made Kosisochukwu my official name. I was at the mercy of God even though I no longer believe in Him. I scaled through University successfully. ..
Well by dating a Professor that is almost equal to the VeeCee. Mentioning his name was a VIP ticket to any office and an effective way to scare other lecturers away. Life couldn't get any better. Eight months after NYSC,I fell in love for the first time in my life with a MAN in all true sense. Loving me soothed all pains and made me forgive All . He led me to Christ and that opened another door of peace and tranquillity in my life. I landed my dream job with Savoy Dee Tech.Still celebrating. I got the funniest proposal. He really has found a mentor in Nelson Mandela the freedom fighter. "You should go and see your Father ".he had said when I was showing off the clothings I bought for my new work. "Yea,I should. It has been long I saw him and we have so much to catch on. "I had said with that glee on my face ,facing him to see the tension on his face and his uneasy hands. "Wait, is that a proposal ? ".I asked looking intently at the fine debonair beside me. "If only you had agreed to watch Nelson Mandela movie with me the other day,you would've saved your self those lecturers earlier"he replied smiling. There was no ring.His mentor didn't use one either. But there's a wedding to plan. Life is too good. Really. Uncle Jay called me a Harlot and told him how i seduced him.at 9? My dog of a lesson teacher happened to be his Cousin .Maternal. My best friend told him my escapades with the Professor . He couldn't deal with the stories calling me the same name . He called off the engagement. If It is not karma,Savoy Dee Tech terminated my one week old job. Here I am,at my end. All endless option,suicide sounded better. I went in search of a secluded area where i csn die and decay in peace. The oak tree and rope seemed to be in agreement too. I heard my name or rather My long Abandoned name. I turned to beheld my Nelson. "It is not over until He says so".he said embracing me. "Meanwhile I like Adela more and I got a ring". "How do you want to be proposed to".he asked kneeling on one leg. I later found my lost voice. 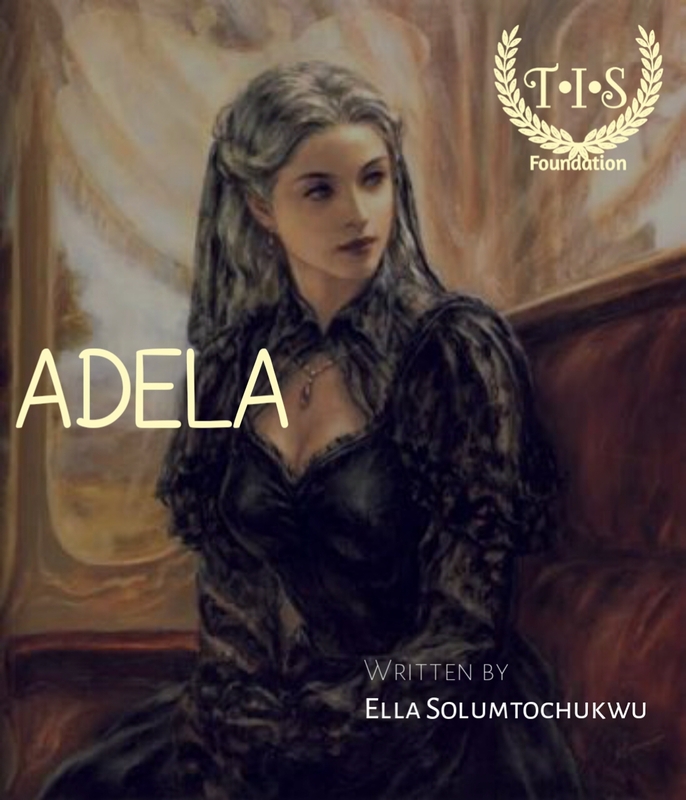 ADELA, A German name meaning Noble woman.